Here are more essays on astrological themes. In this volume new theories & methods for the study of divination are suggested: most significantly, a phenomenological approach, which considers divinatory knowledge & practice on its own terms. As many of the authors are practitioners of astrology & divination, the divide between 'etic' and 'emic' perspectives begins to close, pointing towards a new methodology not only for divination, but for religious studies in general. Many of the papers give prominence to the role of imagination as the organ of symbolic insight, locating divination in the mundus imaginalis of theopany & revelation. The relationship of creative imagination with the sacred is deeply rooted in Western esoteric traditions & practices which unite religion, philosophy & psychology. From this perspective, divinatory vision may be explored by looking both inwards and outwards: from the alchemical symbolism at work in human relationships to history, cosmology & science. I think I will let this stand as an indication of what you will find in the book, which, as one would expect, is academic. University of Kent, 158 pages. Aries are attracted to Capricorns and are repulsed by Cancers. Taurus are attracted to Aquarians and are repulsed by Leos. Geminis are attracted to Pisceans and repulsed by Virgos. Cancers are attracted to Aries but are repulsed by Librans. Leos are attracted to Taurus but are repulsed by Scorpios. Virgos are attracted to Geminis but are repulsed by Sagittarians, etc. If you should find yourself in such a relationship (say the Suns of your two daughters oppose each other (Cancer-Capricorn) and square yours (Libra)), well, you're stuck with it, I mean, them, and they with you. The second part to this book is that the day 91 days after your birthday is an "increased energy" day, and the day 91 days before your birthday is a "lowerd energy" day. These are, again, the signs three signs after/before your birth sign. Which is also true when the transiting Moon is in these same signs, but for that you will have to refer to an ephemeris or calendar. Such as Maynard, or Raphael or Rosicrucian. Note that Maynard is only available in the fall/winter season. The daily categories are for Body, Mind, Feelings, and Social interactions. Use a scale of 1 to 10; or awful, poor, neutral, good or great; or E for Excellent, G for Good, N for Neutral, B for Bad and T for Terrible. There are forms in the back to help you get started. Be faithful and keep a diary for several months and you will be amazed with what you learn. So says the author and her many subjects who have kept diaries. This is then related to Greek and Roman mythology, which is largely not developed, and to swasticas, as representing whirling winds of one sort or another. This is illustrated with some 29 swasticas from around the world (pgs. 39-47) and while none of them are German, several closely resemble the German. You should know the author is a native born New Yorker, a graduate of Hunter College, and is retired from the Botany Department at Columbia University. So she is well aware of the local culture. Exactly what the final results may be, Greek Gods bearing swasticas in square to your natal Sun, I do not know. On the one hand, I like her observation that squares flow clockwise and counter clockwise, it's useful and you may see me use it in chart delineations in future newsletters. I only wish she had developed it more. But I haven't a clue why we need unrelated symbols or misunderstood gods. Remember that astrology is superior to all other forms of analysis, being the apex and summit of human knowledge. All other disciplines are subordinate to it, there are no exceptions. I tell you this, having looked for what might be superior. My search has only further elevated astrology, to my continued amazement. As the book is intended for novices, in Appendix A you will find Basic Astrological Concepts: Planets, signs, houses, chart patterns, etc. There is an overview of Bob Dylan's chart, though it lacks interpretation. Comment: This book is intended to make you a better counseling astrologer. You have a client. You have one hour. What can you do? Bill was born during a crescent moon phase, and his life is characterized by a struggle to establish his own identity apart from familiar, social & cultural expectations. By accessing the resources available in his immediate environment, he can develop new talents, skills & abilities that give him the means by which to move beyond the old and familiar into new uncharted territory that stimulates his curiosity. Cultivating focus and perseverance can help keep him progressing in a forward direction, and his final challenge is to take advantage of the many opportunities that present themselves by taking action upon them. I heard that George, famous for her work with asteroids, had embraced Hellenistic astrology, but despite that, she writes dreck. When this book was published in 2008, the subject, Bill, was 68 years old. (As I write these notes on November 30, 2008, he has just turned 69.) Tell a 68 year old man he is halfway through a 30 year "new vision" process & if the guy has any brains and/or self-respect, he will leave the room in disgust. And why, exactly, would someone at the peak of his career consult an astrologer about that career? We consult astrologers with problems. Bill doesn't seem to have a problem with his career. George correctly observes that rectification by accidents is worthless, but can it be that in Hellenistic astrology there are no techniques for rectification by trait? (Anybody know? - I despair!) Which I myself have been doing for years? In Bill's chart, the ruler of the 7th, Mercury, is in Sag just off the first house cusp. That's a bright, chirpy, brainless wife who is eternally underfoot, but, dead conjunct Venus, Bill loves her anyway. Did Pluto's transit over both of them, October/November 2001 (over the ascendant two months later), result in the death of a beloved spouse, which, years later, propelled him to seek astrological counsel? Given George's own sketch, Bill didn't come to her for employment advice. 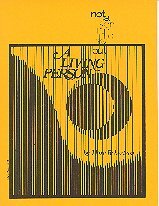 From the back cover: "This book is not about "signs" or "planets" or "houses," except as SYMBOLS of human functions to be found in LIVING PEOPLE....the material here will show you how to find a LIVING PERSON in those mysterious symbols we call astrology." The eye in the "I"
From which you get the idea Marc's talking about the Moon in some fashion. This takes up the first third of the book & then the author moves on to something else. Lunation cycle & planetary pairings & such. 31 pages. AFA, oversize paper. The opening chapters of this book on "astronomy" have to do with how the sky looks from the earth. Not the expected, "how long does it take the various planets to orbit the Sun," et al, which Williams ignores. The view of the skies takes the author in two very interesting directions. One is precession, ie, where the first degree of Aries can be found in the sky, and when it was last there. (This is the Sidereal/Tropical argument, pre-Fagan). The other direction is how the Great Pyramid can be used as a sundial, which by extension takes us to the Planisphere, described as a representation of the celestial sphere on a flat surface, and then into a brief sketch of house division. Along the way, eclipses are explained. The meat of the book are the extensive descriptions of various astrological ages: Taurus, Aries, Pisces & Aquarius. Williams' interpretation of these ages are traditional, in other words, the discovery of Uranus & Neptune, the American & French revolutions, were turning points in world affairs, and, for lack of other explanation, we are justified in presuming these events marked the changing of the Age, from Pisces to Aquarius. Williams specifically states that Aquarius arrived in 1842, with the emergence of the Spiritualist Movement. The Spiritualist Movement was essentially the start of seances, where individuals sat around a large table in a darkened room with a medium who channeled deceased relatives. The modern psychic, John Edward, who works in a well-lit room, channeling the deceased relatives of a studio audience, is a direct descendant of the early Spiritualists. These people have always had their critics, among them Harry Houdini, the famous magician, who desperately wanted to believe, but could find no convincing evidence. But I digress. As I have written on the Ages in various newsletters, Williams' ideas were of interest. My entry into this field was a class in the Year 1913, given jointly by the Departments of French & Fine Arts at the University of Kansas in 1975. In that class I learned that some time in Paris, in or around 1913, art shifted from the purely expressive, to the analytical. As it did so, art added something completely new: An explanation of the analysis, in other words, an ideological manifesto. The very first of these new styles, Cubism, was, in fact, incomprehensible unless you knew the "secret". Many years later I suddenly realized that Ages had the same planetary rulers as ordinary zodiacal signs, and that when the Ages changed, the rulers changed. In Pisces, Jupiter rules, Venus is exalted, Mercury is in detriment. In Aquarius, Saturn rules, Mercury is exalted, the Sun is in detriment; and Jupiter & Venus, suddenly subordinate to Saturn, are nothing special. In particular, note that Jupiter/Venus is abundant beauty for its own sake. Saturn/Mercury is dour, analytical & wordy. Saturn, as is well-known, has no interest in "beauty" whatever. The abrupt change, from Jupiter/Venus/Pisces, to Saturn/Mercury/Aquarius, explained the sudden arrival of Cubism, Futurism, Dadaism, Mondrian, Jackson Pollack & much, much more. Even the whimsical Surrealists. (Ceci n'est pas une pipe!) With this simple observation, I was able to confirm that my professors had been right. Something really did happen in 1913, that had not occurred before, nor since. In 1913, Venus abruptly lost its stature. It was replaced by Mercury. Which could only happen if the Ages had changed. But that still left me with the same facts that Williams, and Howell, and many others, have noted. How can I claim the Aquarian Age arrived in Paris, in 1913, and then ignore the French revolution, the Rights of Man, E Pluribus Unum, Liberty, Equality, Fraternity, All Men are Brothers, the Ode to Joy, the Shot Heard 'Round the World, the discovery of Uranus & Neptune, etc., etc., etc.? Were these not precursors to Aquarius? Its harbingers? I once knew a woman born on February 18, 1957, in California. I was originally told she was born at 5 am, and for many years accepted her chart as such, but many years later she discovered her original birth certificate, which had the time as 5 pm. In that twelve hours, her ascendant changed from Aquarius to Leo, as expected. Her moon changed, from Libra to Scorpio, which happens from time to time. And, to my utter astonishment, her Sun changed. From Aquarius, to Pisces. New ascendant, new Moon, new Sun. The three fundamentals. I went home to bed. I slept. I woke up. She had changed completely. To what she always was, but what I had never before let myself see. From that day, to now, I regard "on the cusp" as in need of a precise time. That there are no such things as "cusps". Which is to say, signs do not magically "blend" from one into another. Aquarius is Aquarius right up to the very last second, whereupon it changes to Pisces. Which is wholly & absolutely Pisces, right from the start. I applied this to my study of the Ages, and concluded that not one trace of the Aquarian Age could have appeared prior to 1913. But now I was more stuck than ever. From horary, I learned that early degrees on the ascendant meant the matter was premature. Late degrees, that the moment to act has already passed. What if the same were true of the Ages as well? After all, applying planetary rulers to the Ages seemed to work brilliantly. How much more "natal astrology" could I import? So I looked at the changeover from Aries to Pisces. I presumed the Greeks to have been Arian. I presumed the Romans to have been Piscean. I had art as a baseline, so I looked at the Acropolis, and then at the Forum, where funny things have happened. In Aries, Venus was debilitated. In Pisces, Venus was exalted. My theory, that planetary rulers also ruled Ages, said that art, represented by Venus, should have shifted abruptly, and radically, from Aries to Pisces. And, in fact, it did. Grecian architecture & sculpture were stiff & formal, albeit subtle. Roman architecture & sculpture were fluid & magically expressive. Even Roman copies of Grecian sculptures took on enhanced life, as if they were incapable of an accurate copy. But that wasn't the whole story. Roman three-dimensional forms may have arrived at an artistic pinnacle, but Roman painting, Roman music, both lagged far behind. As an age Pisces continued - into the Darkness, where there was nothing whatever, before rising up in the Renaissance, and then carrying on in an almost unbroken path, straight into the Romanticism of the 19th century. And there, waiting for me, were the symphonies of Anton Bruckner. To this day, the greatest music ever written. So it seemed reasonable to conclude that Ages, like men, are born as infants, suffer the pangs of adolescence, become young adults, transition into mature individuals, and then valued seniors, before finally sinking into senility & passing away. If that progression were true of Ages, and if Pisces held on to 1913, then the 19th century should have been the very pinnacle of Piscean civilization. So I checked. In the 19th century, so far as "art for art's sake" went, visual art was at a peak. Music was at a peak. Opera peaked. Architecture peaked. Poetry was at a peak. Literature peaked. And so I thought, why not politics? Democracy is said to be Aquarian, but didn't Athens have a form of "democracy"? But the great Athenian civilization was clearly Arian! And what about Strasbourg in the 1400's, with an elected, albeit rotating, oligarchy? Or the early Swiss Confederation? What if, instead of being uniquely Aquarian, democracy was universal, with variations unique to every Age? That would make Athens, where every man had equal say, an example of Arian democracy. Would democracy be different in Pisces? It would have to be! Is it not true that when Ages change, everything changes with them? So I looked again at the great 18th & 19th century slogans, and tried to see if there could be a Piscean interpretation, which my theory now demanded. "We hold these truths to be self-evident." What does "self-evident" mean? What is a "truth"? Are these products of analysis? No. They are self-referential. They are "universal". They are "ultimates". Ultimate refers to Pisces. They are "God given". As in "God-given rights," a phrase we still hear. Okay. So what about, "E Pluribus Unum." From the Many, One. Aquarius is about individuals. Do they become one? If the American "melting pot" was to be the practical expression, then, no. The US government has long tracked its citizens by race, and decade by decade there are more possibilities. On the other hand, take an ordinary spray bottle. Set it to light mist. Spray a vertical panel lightly. You should see thousands of individual droplets. Now spray the droplets. Suddenly the thousands of droplets become one big puddle. From the many, one, and brought about by means of water, the Piscean element. Once brought together, they cannot be separated. Contrast to the fasces, the bundle of sticks shown on the back of the US 10 cent piece (dime), from 1916 to 1945. No matter how tightly bound, the individual sticks remain individuals. And so, what about Liberte, Egalite, Fraternite - ? Like the Self-Evident Truths, these terms are undefined. Undefined means that Mercury, ie, thought & analysis, have not been applied to them, that Mercury cannot be applied to them. Such was true of Pisces, where Mercury was debilitated & so not available. By means of such analysis, I arrived at the conclusion that the "precursors" to Aquarius were, in reality, the ultimate expressions of Piscean ideals. Not Aquarian at all. Which, if Ages really do mature over time, would be exactly what would be expected in the very last decades of the Piscean Age. How did Uranus & Neptune come to be discovered? By use of perfected Piscean tools. All Piscean tools were mechanical. The greatest of them, the steam-driven technology of the late 19th century, was the ultimate expression of Piscean water. Look how rapidly the Aquarian technology of electricity replaced it, once Aquarius was unleashed, starting around 1913. That there was electricity, of a form, in the late 19th century is not in dispute, but then, there was electricity in the last years of the Age of Aries, just as there was steam, also. Every Age achieves its ultimate, and, briefly, every Age is universal in its own right. Steam was proper to Pisces, electricity is proper to Aquarius. The Piscean Karl Marx (by which I mean he was born in the Piscean Age), in his role as an ultimate arbiter of Pisces, expounded one of the great truths of Aquarius: From each according to ability; To each according to need. Communism is an Aquarian form of government, as has long been known. Aquarius, still in its infancy, has so far been unable to adequately express it, hence its universal failure. Which, at this time, is the expected outcome. Aquarius is still too immature. All other authors have seen the Ages through a Piscean lens. Stripped of that, we can see clearly that Aquarius will bring about a form of group consciousness, of which the many forms of networking (Twittering) are merely the precursors. Given that Aquarius is a fixed Age/sign, we may expect this ultimate consciousness, to arrive around the year 4000 AD, to be of crystalline form. But without Piscean ideals, Aquarius is an enormously dangerous Age. In Aquarius, we may KNOW. With our new-fangled Aquarian analytical abilities, we may even know the other ten Ages. We need only apply ourselves. Regrettably, wisdom, ie, the ability to properly use what we know, is not an Aquarian trait. Hence the enormous effort, known as the New Age, to fuse these two. Efforts which failed, unfortunately. I am the greatest expert on the Ages. This is merely a corner of my work. Get this book & read Williams for a contrast. He was once President of the American Federation of Astrologers, which has reprinted his book. The Age of Aries: Transition from Taurus to Aries, The meaning of Mars & Aries, Egypt, Greece, Religions in the Aries Age. The Neptune cycle: The meaning of Neptune, Neptune in real lives, The subjective perspective, Neptune & illusion, Collectivism, The Neptune cycle, The first quarter, The opposition phase, The last quarter. October 2013: The author has written to say my earlier notes were largely my own personal whimsey, and I think he was right. So I will try again. The Astrological Ages, a 26,000 year cycle, is based on the precession of the equinoxes, which is to say that fixed stars drift in the sky by 1 degree every 72 years. Multiply 72 by 360 and you get 25,920 years, which is approximate. This period is divided by 12 and each 2200 year segment is assigned a zodiacal sign. Depending who you talk to, we are now either at the end of the Piscean Age, which started around the birth of Christ, or early into the Aquarian Age, which might have started as long ago as the American Revolution of 1776. (The exact dates are a matter of opinion.) This drift is due to an axial wobble in the earth's daily rotation, which is to say, if you spin a top you will see it go round very very fast (the day/night stuff), but you will also see a much slower revolution, a wobble, as well. The earth's wobble is due to the tug of war between the gravities of the Moon and Sun. Very likely, if the earth had no Moon, there would be no wobble and so, no Great Age, nor, as it is based upon it, a sidereal zodiac. This is one of the issues I had to stare down in making my Earth Astrology theory, but I digress. The author, Paul Wright previously wrote The Literary Zodiac, which I regret is now out of print. In his treatment of the Great Ages he restricts himself to the historical record, which is to say, he starts with sketchy notes on the Age of Gemini, around 7000 BC. Wright says Gemini was an intellectual age, when mankind snapped out of being cave men. Which was followed by the Taurus Age, to which Wright assigns harmony and the Garden of Eden, which he says was roughly 4000 BC. He cites the Minoans, who lived on an island in the Agean sea, as well as the Mesopotamian and Egyptian civilizations. He says this time was qualified by the Peace of Venus. When Mars (or either of its signs) is accented in a birth chart it can often reflect in a strong intensity of being, giving an individual that type of magnetism we term presence. It imparts energy, vigour, incisiveness, assertiveness, and (particularly with Aries) a marked ambition. There can sometimes be a brusque manner, or a domineering and bullying side. Strongly Mars people are prone to insensitivity, or, more broadly, have difficulty in gauging their impact on those around them. Aries people can tend to see others simply in terms of their own needs, are impatient and impetuous, and more given to conflict than compromise. We will see in a moment that breaking up a mundane treatise with natal observations is a particular feature of the book. I regret to say this passage was not found as part of a larger discussion of, say, Greek gods, where it would have had context. It is instead in a section entitled, The Meaning of Mars and Aries. While Jewish, Vedic, Zoroastrian, Babylonian, Mesopotamian and Sumerian religions are all mentioned briefly, there is no mention of Greek gods. Which brings us to Pisces, which Wright dates to about 300 BC and Alexander the Great. Wright states that Greeks were mostly homebodies until Alexander and Pisces gave them the incentive to go explore. This is incorrect. Greeks were establishing colonies throughout the Mediterranean, as well as around the Black Sea, as early as the 8th century BC. One of the problems of basing a book like this on "historical record" is that no history will easily support the premise, sorry to say. Pisces is ruled by Jupiter, which Wright associates with largeness in general, which would not have been a new thing, since Wright assigns the Pyramids, the largest things man has ever made, to Taurus. For religions, Pisces gives us Stoicism, Mithraism, Buddhism and Christianity. Which is to say the cracks are beginning to show, as in this book we do not get Greek or Roman gods at all. Islam gets a brief mention. Note that Mr. Wright does not exactly say that only the poor still believe in the Church (which the Aquarian Age will presumably make obsolete), nor does he quite say that, so long as there is a Pope in Rome, there can be no Aquarian Age, but the implications are there. Based in the UK, he passes by US fundamentalists, who now largely dominate the richest country in the world. What follows are potted biographies of recent individuals (the last two centuries or so) who have had Aquarius prominent in their charts. Among them, Lord Baden-Powell, Lord Byron, Colette, James Dean, Mozart, Gustav Holst, etc. And I want both you, and the author, to think about this carefully: Could we summarize the Piscean Age with a list of notable people who lived during that age who had Pisces strongly marked in their natal charts? Here are some candidates: William the Conqueror was a Virgo. Charlemagne was an Aries. So was Leonardo. Michelangelo, he was a Pisces. Shakespeare was a Taurus. Columbus was Libra or Scorpio. Elizabeth I was a Virgo. Francis Bacon was an Aquarian. As was Galileo. Kepler was a Capricorn, as was Newton. Dante's birth date is unknown. Milton was a Sagittarian. Vivaldi was Piscean. J.S. Bach was an Aries. Al Biruni was a Virgo, as was Richard the Lionheart. Kublai Khan was a Libra. I must keep these births well away from cuspal Aquarius, which has been said to go at least as far back as the birth of Mozart (1756). Is there a Pisces thread here, anywhere? The visions of peace, light and love that emerged in the 1960's are little to do with Aquarius. A more accurate Aquarian vision was that of H.G. Wells, and it was one he promulgated over four decades in numerous eminently forgettable works. Of course, Wells was a rationalist and sceptic who gave no credence to astrology, or to religion, or to anything "irrational". But his vision of a technological utopia - the New World Order - in which mankind's material wants are eradicated, and there is international harmony and understanding is essentially Aquarian (a reflection of his own strongly Aquarian nature). I prefer that you, and the author, stand back and take a deep breath. The New Age, aka the Aquarian Age, is a utopian fantasy. The claims that have been offered bear no relationship to reality. The New Age is the modern version of the 2000 year old Christian Heaven on Earth. It is a secular version of the Second Coming. The New Age/Aquarian Age is a myth. Aquarius, in fact, will be a unique period of time, an Age, not unlike all the others. It will have its own characteristics, its own unique advantages and disadvangages. There is every reason to believe the Aquarian Age will be, like the other eleven, a mixed bag. The world as a whole is a mediocrity. Rarely very good, and often quite bad. Planet Earth is a world of physical toil and struggle and always will be. At every spring equinox the pattern is set for the year. Where Mars is strong, there will be strife. As Mars cannot be banned from the sky, he and his activities will always turn up somewhere. On equinox dates where Mars and, say, Pluto or Saturn are prominent there will be war and strife in the areas marked by those planets. So long as the planets cannot be stopped, there can be no utopia. This is the law of astrology, which rules the earth. I might mention in passing that every time Peace On Earth has broken out, self-satisfied smugness (not spiritual striving), has immediately destroyed it. The End of History (1992), a one-time influential book by Francis Fukuyama (a Scorpion) on the end of the Cold War, was a recent example. The lone and level sands stretch far away. - Shelley. A Leo, by the way. We must struggle to free ourselves of utopian fantasies and, instead, work to help the poor and needy. Who, like the planets above, will always be with us. I am personally tired of the New Age, which has scarred the planet. With apologies to the author. There are two ways of dealing with books like this. One is to give the author the tools to make a better analysis of the ages and then let him come to his own conclusions. I regret that Mr. Wright did not like this. Myself? I am Aquarian by birth. Which proves what, exactly? The alternative is to state what the New Age really is: A modern fantasy. We can then trace the fantasy to its origins, to the people who invented it and the reasons why they did so. I regret that will show the Theosophists in a rather poor light. Which is another story for another time. Parlando Press, 92 pages, oversize (A4). We are at the end of the Piscean Age, standing on the brink of the Age of Aquarius. Today, many advanced beings have reincarnated to assist with the transition. Exceptions to the general consciousness, their birth charts are also exceptional. Instead of having a different sign on each of the twelve houses, many have pairs of signs enclosed within houses, while other pairs fall on two successive cusps. These interceptions are markers for those individuals once called Starseed or Starborn. Seeming to have stepped back in time, they are designed to be living examples of greater possibilities within the human species. In spiritual terms, they are Older Children of the Creator of this Universe. Their differences create problems early in life which continue until they realize that they truly are different from the general population, and that their differences are assets, not deficiencies. This requires a transformative process. Entering the second phase of life, each discovers who she or he is & why she or he came. Finally, that feeling of coming to do something special humanity is validated! Physically, I am different from the norm. My metabolism is atypical, I am dyslexic, and I have an extremely rare blood type. My health, while never life threatening, was never good until my Uranus opposition. Since then, I am amazingly healthy. Relationships have been a testing ground. I married three times with increasing disastrous results. Ten years later, my dream man came along. . . and turned out to be a con man. It took a long time to realize that a non-traditional human cannot make a traditional marriage work because we are designed to create new social structures for the approaching new age. Interceptions have been described as a phenomenon created by thinking of our spherical world as flat. On a globe, the lines marking divisions of latitude become increasingly closer together as we move towards the poles. Interceptions have long been regarded as more common in northern latitudes. The only two-interception charts we have seen had north latitudes of forty-eight and forty-nine degrees. Realistically, the phenomenenon would be more prevalent outside a band surrounding the equator. If the scientific theory regarding them is correct, they should be equally common in southern latitudes. We suspect that these interceptions would symbolize the results of shamanistic activities. Time to look quickly at the example charts in Chapter 10. AR, born in Vancouver. AM, born in Dwight, KS (printed upside down, a neat trick). JS, born in Denver. HS, born in San Angelo, TX with 1 degree Libra rising. CG, born in Denver, another chart printed upside down. MN, born in Pueblo, CO, printed upside down. KC, born in Gardnerville, NV. Upside down charts show left dominance, whatever that is. I was curious where the example charts were set, because, as everyone knows, interceptions, in fact, have to do with latitude north or south of the equator. The closer to the poles you are, the more your chart is skewed. It's a fact of life. Virtually everyone in the UK, which is located between 50 (Land's End) and 59 degrees north latitude (John O'Groats), has at least one pair of interceptions. Many have two, especially the Scots. This is why the Scottish people are the the New Age leaders they are. India, by contrast, is barely north of the equator. Interceptions in that part of the world are extremely rare. This is why India, along with all its many holy men, sages, gurus and pandits, will be left behind when Pisces finally gives way to Aquarius. Any day now. Checking the author's website, Life Print Astrology, I learn that it is her chart printed upside down on page 89. The Reverend Miller was born on April 2, 1937, at 7:06 am LMT in Dwight, Kansas. She has, perversely I think, translated her chart out of Central Standard Time to Local Mean Time, which she also does with about half the other charts she presents - not all of them upside down. Despite what she claims on her website, changing the time from Standard (civil time) to LMT makes not one single change in the chart. None whatever. You could set all your charts in GMT if it pleased you. So let's give Alice a quick scan for intelligence. Saturn, in Pisces, Sun & Mercury in Aries, Uranus & Venus in Taurus, are all in the 12th (Placidus cusps), with 12 degrees of Taurus rising. The node, not shown, is at 17 Sag in the 8th. Third house, of everyday intelligence & thinking, is Cancer, and empty. Cancer on the cusp says that Rev. Miller feels more than she thinks, when she thinks at all, as empty houses are areas we don't often concern ourselves with. The Moon, ruler of the third at 24 Sag, tends to jump enthusiastically from idea to idea. Which, as it's domiciled in the 8th, she gets from she knows not where (ie, psychic). Jupiter in Capricorn disposes it, barely one degree in back of the 10th, late late late in the 9th. Jupiter wants to make public the psychic impressions the Moon has, but in Capricorn tends to be rather clumsy about it. Jupiter is in mutual disposition & sextile with Saturn, in Pisces, in the 12th. Saturn rules the 9th (Capricorn), of higher mind. A 9th house Capricorn can be taught many things (myself, for example, with Capricorn there), but with Saturn ruling from the 12th in Pisces, I get the impression of pouring knowledge down a drain, nevermore to be seen. In the Reverend's chart, Jupiter is not helped by being in opposition to Pluto. So why were Rev. Miller's marriages bad? It could be Scorpio on the 7th, with Mars ruling in Sag late in the 7th. Mars in Sag ties it into the Jupiter/Saturn mutual reception, it gives it an affinity to the Sag Moon & tends to put it functionally in the 8th (as bad a placement for a Martian 7th house ruler as you can get), the result is not very pleasant so far as marriage is concerned. With Leo on the 5th, the Sun ruling from Aries in the 12th, Alice is better advised to have secret boyfriends - and probably did. Why did her health improve at age 40 - the Uranian opposition? It could be that it landed in her 7th & booted out all the dumb men who were (8th house Moon) sucking her dry. Yes, Alice. There is such a thing as astrology. By my watch, it is now October 2009. This is not the first book the AFA has published this year which has been of dubious quality. So it's now a litte more than a year since the Rev. Miller's first book on interceptions was published. We may presume that everything in the first book is carried over into the second. The Rev. Miller is still telling us about her unhappy childhood, multiple bad marriages & ill health, etc. The best astrology books are the ones in which the author weeps for herself. I was going to pull some more quotes & let Alice blather on, but it struck me my own ideas about interceptions have nearly the same starting point. I wouldn't say that interceptions makes one born outside. I would say, makes you born with a certain personality quirk. And while this may be true of those with empty intercepted signs (which I think doubtful), it is certainly true of those who have planets intercepted in them. However, the consciousness, or personality quirks, that arise are based on situations forced upon them in their immediate past life. To some extent, this makes those with intercepted planets victims, but I haven't yet worked out all the various interactions between "victims" and "evildoers". But even so, people are not heralds of anything. Not this age, not that age. People incarnate to deal with their own private lives, their own private fates. This is a rule. But all of this only applies for those born between, say, 30 degrees north latitude, and 50 degrees north latitude (same with south latitudes, of course). Below 30 degrees, interceptions are rare. Above 50, interceptions are the norm. Different rules would apply to each. I regret I do not know what those would be. Most of that is wrong. I thought Miller was talking about herself, but not so. As it happens, I have a sister in law with two planets intercepted in the first, and two intercepted in the seventh. Because she has been a continual nuisance for the past 40 years, I will give you her precise data: Born February 19, 1953, at 7:51 am PST, Montebello, CA. You should get a chart with 28 Pisces rising. Delineation of Gail's chart is simple and direct: With Mars & Venus intercepted in Aries in the first house, she is not who she pretends to be. With Saturn and Neptune intercepted in the seventh, her husband is not who he pretends to be. Who happens to be one of my brothers. You would think I would know, but over the years I have been as surprised as everyone else. (Astrology trumps personal experience. Yes, it does.) Ken and Gail were married in June, 1971. They have three grown children. Over the course of their marriage they have had good times and bad times, but they have never been apart, they have never been separated. Are Ken'n'Gail "good" people? Are they "bad" people? Are they equals? Is one the "master" and the other a "slave"? So far as interceptions are concerned, we don't know that. A good synastry analysis might tell us, but that's beyond the scope of Miller's book. As I have an intercepted Jupiter, and as I have a fairly good idea how it came to be that way, I looked at Miller's delineation. She defines Jupiter in terms of Sagittarius, the only sign she permits it to rule. As Jupiter rules mathematics (so says the Reverend), those with intercepted Jupiters, like myself, are believed to lack mathematical skills. An intercepted Jupiter means that I learned, long ago, that there are places I could not go, things I could not become, things I cannot do (pg. 59). This is because an intercepted Jupiter withholds money, travel & education, so we end up stupid & broke, right where we started. Intercepted Jupiter "withholds our future". Eventually transits force the intercepted Jupiter to explode outwards, like Uranus, or perhaps Pluto. Which resembles a religious conversion. (pg. 61). The reality, according to the Reverend, is that intercepted Jupiters, such as Yours Truly, are "Living Messengers", the unseen angels in the lives of others. Usually good, but on occasion, fallen angels and therefore exponents of evil (pg. 64). - All of which are the author's own fancies. There are no delineations by sign, no delineations by house, no aspects considered. All of which are essential. There are, by the way, no charts in the book. My intercepted Jupiter, like all intercepted planets, is ruled by the houses containing the signs which Jupiter rules. In other words, Jupiter, ruling my 7th of wife, while intercepted in the 11th of friends, means that my wife (or partner) has ownership of my friends. Not me. If Jupiter were not intercepted, then my friends would be her friends, her friends would be my friends. (Ruler of the 7th in the 11th, my wife is my friend. That much did not change.) The interception takes friends away from me. Note that well, as that is one of the traits of interceptions, to take away the affairs of the house it is domiciled in, giving it to the house(s) the planet rules. If one of those houses is angular, then that's where most of the influence will be found. You could say interceptions invert rulership, makes it run backwards. This is one of several quirks about intercepted planets that I have noted. This is presumably due to the fact that intercepted signs lack "moorings", in other words, a house cusp the sign can call home. Planets contained in intercepted signs are then overwhelmed by the houses they rule. Which has the net result of inverting rulership. In other words, rather than planets ruling the houses containing the signs they rule, the houses with those signs rule intercepted planets. Interceptions are a puzzle to many. I regret that Miller's books will not give enlightenment. 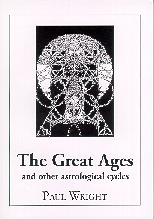 Contents: Life as an astrologer; Academic astrology; Astrology and religion; Using astrology to solve problems; Relationships; Marriage; Vocation and career; Finances; Transits changing lives; Astrology and healing; Astrologers seeking advice; Spiritual matters; Reply to a telephone question; Confidential replies; Keywords; Eclipses; Transiting retrograde cycles. 264 pages. AFA, paper. Many of these originally appeared in The Mountain Astrologer. Wessex Astrologer, paper.